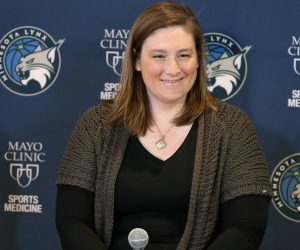 The Lynx tipped off their 2018 preseason in Iowa on Sunday afternoon against the Washington Mystics at Wells Fargo Arena. Minnesota fell 90-85, despite outscoring the Mystics 53-36 in the second half. It’s preseason, so this was more of a learning experience more than anything. With that being said, coach Cheryl Reeve likely wasn’t thrilled about allowing 54 points in the first half. As you’d expect in a preseason game, minutes were everywhere. Thirteen players saw action for the Lynx, including 10 playing 10 or more minutes. New Lynx point guard Danielle Robinson led the way with 18 points to go with two assists, one rebound and one steal. She shot 5-for-10 from the field and a perfect 8-for-8 from the free-throw line. 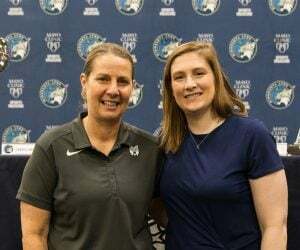 Lindsay Whalen added 11 points, shooting 5-for-8 from the field. Alexis Jones also added 11 points, nine coming from the 3-point line. Reigning MVP Sylvia Fowles finished with nine points and four rebounds in 20 minutes. Seimone Augustus, Tanisha Wright and Temi Fagbenle scored eight points each. Tierra Ruffin-Pratt led Washington with 17 points. Myisha Hines-Allen added 13 points. Elene Delle Donne and Monique Currie scored 11 points each. Maya Moore was not with the team as she’s resting after her overseas schedule. 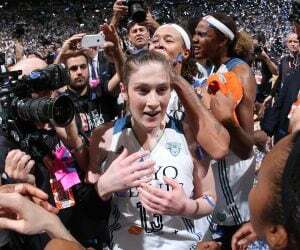 The Lynx are back at it on Saturday night at Target Center taking on the Chicago Sky. 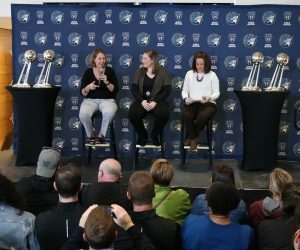 Tipoff is set for 7 p.m. It’s the final preseason game before the Lynx host the Los Angeles Sparks in a Finals rematch on May 20.